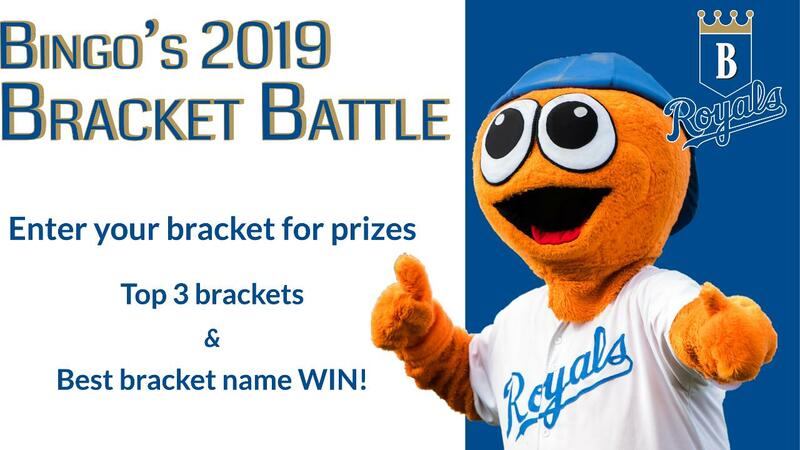 In preparation for the NCAA Tournament starting this week, the Burlington Royals are hosting a 2019 Bracket Challenge through ESPN. Bingo's Bracket Battle is active now, and all you have to do to enter is log on to fill out your brackets for the upcoming tournament and join our group. Click here to join the Bingo and the Royals for a chance to win some great prizes courtesy of the Burlington Royals! *Note: If you don't already have an ESPN account you'll need to create one. Contest is restricted to Alamance County and the nearby surrounding areas (Guilford, Orange, Chatham, Randolph, Caswell, and Rockingham Counties). Most creative bracket name: BP Cap! Good luck and don't go too mad this March! Season tickets and bonus books are on sale now. Click here or call 336-222-0223 to get yours today! The Royals open up the 2019 season on Monday, June 24th against the Kingsport Mets at 6:30pm. Single-game tickets will go on sale in May.